There is a sad situation I’ve observed over the past 40 years. Black men in general have become more passive. This passiveness has affected Black men collectively in all areas of life. Notice I have used the words, “general” and “collectively.” Of course every single Black man has not become passive. There are still many Black men who are as assertive as any man on the planet. Indeed there may be nothing on the planet like a Black man willing to assert himself whether it is the bedroom or the boardroom. The world lies prostrate at the feet of an assertive Black man. Unfortunately this does not apply to the overall group of Black Men. The political and social climate of the last forty years has had a profound effect on the aggressive spirit of men in general and Black men in particular. Whether it is feminist policies, institution racism, the education system, job discrimination, police brutality, or simply being raised by single mothers, many Black men have been literally pacified. Let’s look at the example of single mothers. I wrote an article on this very site which stated that Black women create the men they come to hate. I caught some heat for that article but all one has to do is walk through any predominantly Black neighborhood particularly one in which single mothers reside to see my point. Many young mothers have a bad habit of dressing their sons to be pretty instead just babies. Anyone can observe little boys with their hair fixed like little girls and indeed some baby boys will even have earrings. The mothers may think it’s cute but the message they send to their sons is that as long as they look cute they will be able to get by in life. Bad message. The nature of a man is to impose his will on his environment even if it is his personal space. In order to impose his will a man has to be willing to take action to remake his environment. A passive man cannot impose his will on anything. Indeed other men may impose their will on them. 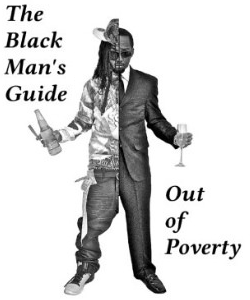 Collectively that is the issue Black men face in today’s world. Most Black men if they work have to work for men who are not Black. These Black men have to conform to the will of other men in this regard. That’s not living that’s being allowed to live. It’s common for Black men to shut down or pacify their personalities in these workplaces. If a Black man dare stand up to unjust treatment or just on principle he may find himself without a job. A man has to be a man regardless of money. Many Black men are passive in relationships. On several occasions I have publicly stated that I can’t stand when I see a Black man walk behind a woman or not being closest to the curb when walking. Another thing that irks me is when the man is riding in the passenger seat of a car. The scary thing is that I’ve seen older Black men do this more than younger men. That image suggests that the woman is more dominant in the relationship. This cannot stand if Black men are to move forward in the future. Black men have to break out of this passive posture. Despite what many people think this world is run by men. The Chinese are asserting themselves globally because their culture favors masculinity. For any group to compete it will take the efforts of a collective group of men. Those have to assertive. Those men have to impose their will on the environment. Black men have to either become assertive or perish.